This blogger has happy memories as a teenager of family TV viewing of the BBC comedy series Fawlty Towers. Even today his generation will often - generally after a few beers - recall hilarious moments and catch phrases ("I can speak English. I learn it from a book") from the show. Even his children love the show as its humour is timeless. So it's not surprising that an Australian-based dinner show Faulty Towers is, according to the Australian Sydney Morning Herald, a great hit with tickets costing up to AUD 159. A UK run in the summer will see tickets of GBP 59. John Cleese has tweeted that he is amazed about the profits being made from the show, which has been running for a number of years. Cleese seems to be looking for a licensing deal as he's added that there is nothing wrong with the show. The question is - how strong is his licensing rights? The formats of TV shows are notoriously difficult to protect with different courts in different countries seemingly coming to different conclusions (the seminal case in the UK concerns the entertainer Hughie Green who attempts to stop TV New Zealand exploiting his "Opportunity Knocks" format - noted here). At least some courts have argued that they are "ideas" and not protected by copyright law. On the other hand some of the catch phrases at least might be protected under copyright law and certainly the names of the characters might have an element of originality. The strongest rights tend to come under trade mark law and there is - at least in this author's view - a degree of similarity between "faulty towers" and "faulty towers". Rather surprisingly this author could find only a trade mark registration in the UK data from 1996 and a more recent 2015 international registration, which apparently only covers the Republic of Ireland. So it looks as if the case for a trade mark infringement could be weak. There's also an interesting question about whether any rights could still be asserted as the Australian attempt to register their own trade mark in the UK dates back to 2010 when it was withdrawn because of an opposition. So - will Mr Cleese be successful? 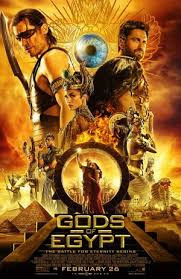 The Australian company have responded robustly online and the IP rights situation may not be particularly favourable to any assertion of rights to license the format. The international success of the formats Idol, Got Talent, Bake Off, Master Chef, etc. show just valuable internationalisation of TV formats can be. 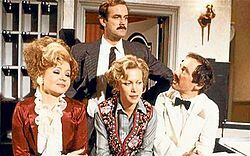 Back in the seventies, when Fawlty Towers was first broadcast, the BBC probably only considered selling the show onto its partner public broadcasting networks in the Commonwealth. Today shows are international. And this blogger has even discussed Fawlty Towers with a Norwegian friend of his who seemed to know the plots better than he did. The Pharmaceutical Pricing Problem: A Call to Exercise Bayh-Dole Act March-In Rights Heard? The United States is struggling with the high cost of healthcare. Notably, one cause of the high cost is the price of pharmaceuticals. The importance of the issue and the pressure is exemplified by the focus of the various presidential candidates. Not only are the Democratic candidates Bernie Sanders and Hilary Clinton concerned, but so is Republican candidate Donald Trump. Interestingly, California, through an initiative, may directly confront pharmaceutical pricing for many Californians. (2) action is necessary to alleviate health or safety needs which are not reasonably satisfied by the contractor, assignee, or their licensees; . . . . Section 201 in 35 U.S.C., subsection (f) defines “[t]he term “practical application” [to] mean to manufacture in the case of a composition or product, to practice in the case of a process or method, or to operate in the case of a machine or system; and, in each case, under such conditions as to establish that the invention is being utilized and that its benefits are to the extent permitted by law or Government regulations available to the public on reasonable terms.” Part of the problem is defining what are “reasonable terms.” Some scholars have rejected arguments that “march-in” rights should include concerns with pricing. Additionally, the argument against the exercise of “march-in” rights is that the uncertainty interjected into the ordinary process of the Bayh-Dole Act would provide a disincentive for private industry to invest in the commercialization of Bayh-Dole Act funded inventions. To date, March-in rights have never been exercised. Notably, over 50 congresspersons sent a letter to the Director of the National Institutes of Health [NIH] requesting that the NIH issue guidelines defining when “march-in” rights should be utilized. The belief is apparently that the existence of guidance may provide an incentive for pharmaceutical companies to set prices “reasonably” because of fear of the actual exercise of rights. Apparently, right now, the belief is that they will never be exercised. On March 16, in congressional hearings, BNA reported that the Director of the NIH noted that they are “open” to exercising the rights. Will the indication of “openness” to exercise rights cause the pharmaceutical industry to pause before setting the price of a government funded pharmaceutical? Is current pressure from presidential candidates and from a state like California enough to rethink the setting of the price of pharmaceuticals? 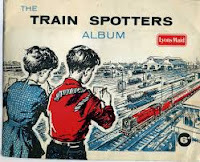 Transporting may be a well-known book by Irvine Welsh and later a reasonably successful film, but it is also a hobby enjoyed by thousands of teenagers - mostly boys - in the UK. This blogger has to confess that he too was one of those that used to spend Saturdays collecting numbers of the DMUs and EMUs as well as locos as they passed him by. So it was with great pleasure that I recently read a story and IP and railways in the UK's premier railway journal Modern Railways. 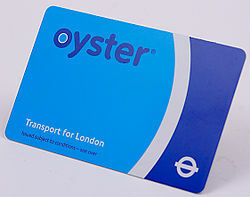 Those of you who have visited London in the last few years will know of the Oyster card. It's basically a contactless payment card which you use to check into and out of the Underground and more recently on the suburban network. It's a prepaid card and the fare for the journey is debited from your account. Its introduction was facilitated by private finance. Basically Transport for London (TfL) drew up a tender for installing the gates and setting up the system. The contract was won in 1998 by a consortium called TranSys and was scheduled to run for a number of years. At first the system was beset with problem. I can remember spending time at one station where none of the gates would open and eventually the station manager just let everybody go through a side gate to release the crush. Transport for London therefore decided to exercise a break option (apparently to save costs). There was a problem - the IP was held by TransSys, including the trade mark Oyster. Eventually TfL had to purchase the rights to the brand name. The BBC reported at the time that this cost TfL £1m, which actually seem quite inexpensive given the brand recognition of the trade mark. What it does show, however, is that whilst private finance initiatives may help governments invest in infrastructure and balance their books, the contracting agencies need to understand how the IP is going to be owned. Probably most of the readers of this blog understand how IP can be used to promote business, but government agencies tend to be less sophisticated and the example of TfL is not the only one know to this blogger in which an contractor has had an advantage in a tender because of the IP gained through the previous project - and sometimes filed rights on it. Xtandi is the result of a unique collaboration between researchers from various academic units across campus and an outstanding example of basic science leading to a therapy that is bringing extraordinary benefits to prostate cancer patients worldwide. By selling future royalty rights to Royalty Pharma, we are strategically supporting one of our essential missions — funding and generating research with practical applications that serve the public good. Facilitating equal access to education also is a campus priority, and we will use a portion of the sale proceeds to support scholarships and fellowships. Wow! Talk about a dream deal for UCLA. I am sure that every technology transfer office in the world and supporter of the Bayh-Dole Act generally will point to this deal as justifying all of the changes that the Bayh-Dole Act may have brought to academia. Notably, the press release states that federal funding for research has been declining and, here, technology transfer is not only helping with more research funding, but also supporting scholarships and fellowships. It is hard to argue with $500 million. By selling the royalty interest and prudently investing proceeds, UCLA seeks to provide stability and minimize risk associated with the volatility of the pharmaceutical industry marketplace. UCLA will hold its share of the proceeds in a broadly diversified portfolio managed by the University of California’s office of the chief investment officer. Based on the pool’s average annual returns, UCLA anticipates it will receive approximately $60 million annually until 2027. In a recent post on IP Finance, I discussed the late Syracuse University Law School Professor Ted Hagelin’s excellent casebook titled, Technology Innovation Law and Practice. Professor Hagelin was the founder and Director of the very successful Technology Commercialization Law Program at Syracuse University College of Law; Director of the New York State Science and Technology Law Center; Crandall Melvin Professor of Law; and Kauffman Professor of Entrepreneurship and Innovation. When I wrote that post, I did not realize that University of Wisconsin Law School’s Vilas Research Fellow & George Young Bascom Professor in Business Law Shubha Ghosh had been hired by Syracuse. This is an excellent hire and quite a coup for Syracuse. Professor Ghosh will be the new Crandall Melvin Professor of Law at Syracuse University College of Law and director of the Technology Commercialization Law Program. Professor Ghosh is a leading law professor in the U.S. and has authored over 20 articles as well as several books including Identity, Invention and the Culture of Personalized Medicine Patenting (Cambridge University Press 2012), and Transactional Intellectual Property (West 2nd ed. 2012). The NYS Science & Technology Law Center is pleased to announce that Professor Shubha Ghosh, the new Crandall Melvin Professor of Law at Syracuse University College of Law and director of Technology Commercialization Law Program, will be presenting a series of webcasts regarding upcoming Supreme Court cases. The cases include: the combined Halo Electronics Inc. v. Pulse Electronics, Inc. and Stryker Corporation v. Zimmer Inc.; Cuozzo Speed Technologies, LLC v. Lee; and Kirtsaeng v. Wiley & Sons. Each webcast will last for approximately an hour and 15 minutes and provide time for questions. There is no fee but registration is required. To learn more about the cases to be presented, and watch other webcasts presented by the NYS STLC, please visit our website. The webinar on the Halo Electronics v. Pulse Electronics & Stryker Crop. v. Zimmer, Inc. cases will be held on March 21. The webinar on Cuozzo Speed Technologies will be held on April 21. Here is a link to a page with the subscription fields for the newsletter.